One of the cities located along the Gulf Coast, Gulfport is part of the Gulfport-Biloxi Mississippi Metropolitan Statistical Area and is the second largest city in the state after Jackson. Home to unspoiled white beaches, historic neighborhoods, and scenic boardwalks, Gulfport is known as a major transportation hub and port city. 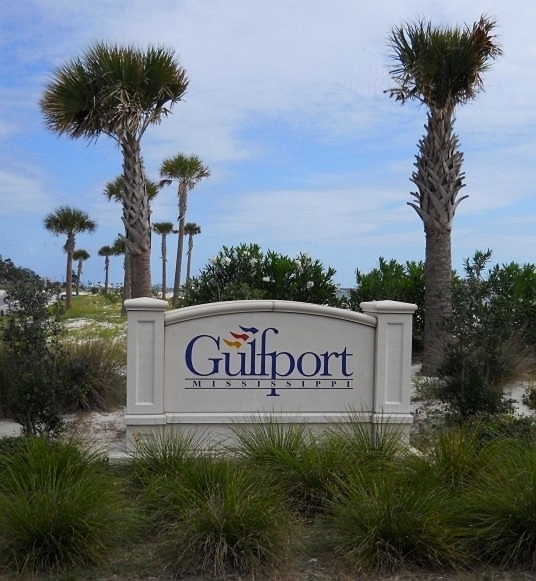 According to 2014 population estimates, Gulfport serves as the home of approximately 71,750 people. It also serves as the co-county seat of Harrison County, along with Biloxi. Gulfport traces its roots back in the 19th century, when it was founded by Joseph T. Jones and William H. Hardy, former president of the Gulf and Ship Island Railroad. The settlement was officially incorporated as a city in July 28, 1898. It was in 1902 when the Port of Gulfport was opened, solidifying its status as a major transportation hub in the region. One of the cities badly ravaged by Hurricane Katrina in 2005, Gulfport has managed to recover and restore its original vitality. The city continues to be a popular vacation destination in the Gulf Coast area, thanks to its downtown district, natural surroundings, and plethora of shopping and dining establishments. As befits a coastal community, life in Gulfport is enjoys a considerably slower pace than most cities. Here, you can take a break and enjoy a cup of coffee or any preferred drink and just amble along the city’s boardwalks and streets. Gulfport is far from sleepy, however – it boasts a thriving downtown district and a great collection of shopping and dining establishments where you can indulge and live life with much gusto. Gulfport is home to around 34 parks and water recreation areas, and the rich bounties of Gulf Coast can easily be tasted in the city’s seafood restaurants. Looking to satisfy particular cravings? Gulfport is host to a slew of restaurants that will make your mouth water with a delectable feast. From the freshest catch to Southern comfort food, Gulfport has got you covered. Top picks in the city include Half Shell Oyster House, Blow Fly Inn, and White Cap Restaurant, where you and you loved ones can enjoy well-done seafood. Salute Italian Restaurant is a favorite among those who’ve got a taste for Italian fare, while steaks reign supreme in Lookout Steakhouse. Other venerated dining institutions in Gulfport include The Chimneys, Tony’s Brick Oven Pizzeria, and Murky Waters Gulfport. As for shopping, there’s definitely one highly recommended place in Gulfport where you can score all the latest fashions for less: Gulfport Premium Outlets. There are also a notable collection of specialty stores and retail shops scattered throughout the city. Nightlife in Gulfport might not seem as explosive or wild as that in Miami, but the city has still plenty to offer when it comes to that department. Michael’s Nightclub is a revered institution in the city where you can enjoy drinks and sing to your heart’s content. There are also several beachside bars and cocktail lounges in the city. Casinos are also found scattered throughout the Gulfport-Biloxi metropolitan area. For more information about Gulfport MS real estate, get in touch with us today for a consultation.